The E-PROPS propellers are manufactured in France. They are sold worldwide, in 80 countries, diretly or through our distributors or dealers network. For all orders through the online shop, delivery is FREE OF CHARGE for purchases of 100€ or more. 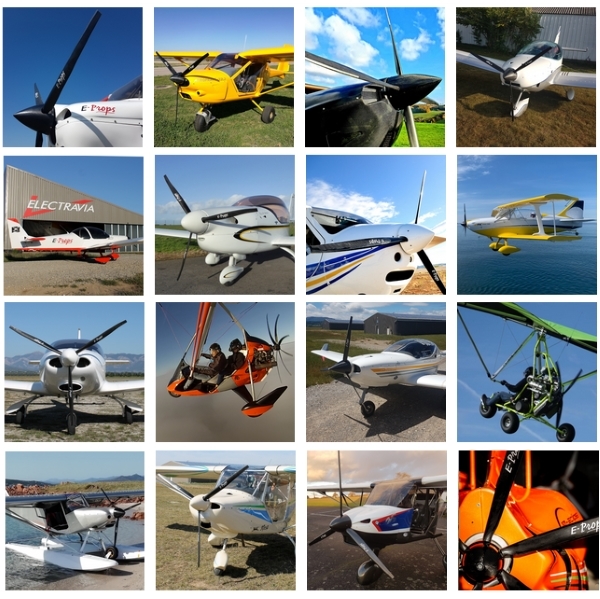 Most of E-Props propellers are shipped by Post or by express carrier. It is recommended to be very precise in the delivery address, especially for the shipments in foreign countries. The parcels are carefully made by our team. If a parcel seems to be damaged, please notified it in writing to the carrier. Take your time to open the package in the presence of the carrier agent or of the postman. - with GLS (GLS Group) : delivery within 24h. A delivery agent brings the parcel at the address. Tracking by SMS / Internet. - COLISSIMO Suivi (LA POSTE) : delivery within 48h, more in summer and during holidays periods. Delivery done by the postman. An email with the parcel tracking number is sent to the recipient by the E-PROPS commercial department. Note : this email is often spammed, please consult your spams. HELICES E-PROPS chooses the carrier. Delivery is depending on the country. The customs documents are issued by the carrier agent with data given by E-Props. Pick-up of the parcel at our worshop by the customer is possible. In this case, the customer must organize the pick-up and send the documents and stickers to E-Props. Please note => When a parcel is shipped to E-PROPS by a customer for a repair or a component change (blades, hub, ...) : the shipping costs, the mandatory insurance of the parcel and the potential customs duties must be paid by the customer. It is mandatory to assure return parcel according to the value of the content and to select the follow-up of the parcel (with signature). E-PROPS is not responsible of the lost or damage of a parcel sent by a customer to the E-PROPS company.